DNA experiments are the building blocks of a child's understanding into life sciences and biology. When students can get hands-on with genetics lab activities, visualizing something that we cannot view with the naked eye becomes possible. At Educational Innovations, we are here to provide you with tools that will keep your students engaged and wanting to learn more. 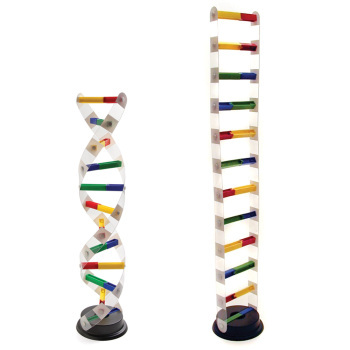 Browse our selection of DNA Experiments and activities! This beautiful model coils and uncoils with a touch of the hand.